SYNOPSIS: Here's a so-bad-it's-good classic. 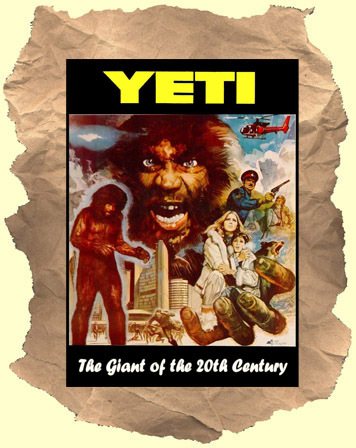 This cheesy Italian production has a giant Yeti monster who gets thawed out of a block of ice. He looks sort of like a cross between the Bionic Bigfoot (from the "The Six Million Dollar Man") and one of the Bee Gees! He's not small like the usual cinematic Bigfoots - he's Godzilla-sized! After he warms up he runs around the countryside & cities scaring folks and acting like King Kong. He even finds time to befriend a blonde hottie, a mute boy and a dog. How can you lose?